Expansion means something specific in Virginia’s beer counties, which both encircle Washington, D.C. and span to verdant farmland. 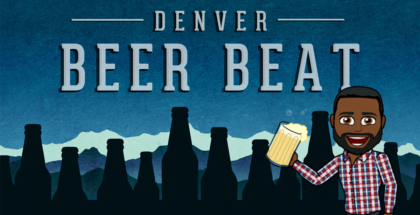 Breweries may be seeking to be better, faster and stronger, but they are also choosing to bring that growth back home, reinvesting in new establishments or reinventing their current digs, expanding within state lines and doubling down on local distribution. Beer contributes more than $9 billion annually to Virginia’s economy and brought in approximately $1 billion in state and local taxes in 2016. Breweries here don’t want to be busting at the seams with becoming the next coast-to-coast powerhouse. As a Virginian and lover of these beers, it’s wonderful. Take Prince William County, which is just beyond the immediate suburbs of Washington, D.C. Heritage Brewing Co. is expanding with a nearly $9 million investment, hoping to triple its barrel capacity. Private financing will fund majority of this expansion, with some local and state grants. Further south, Lickinghole Creek Craft Brewery is spending $14 million to open a new brewery in Lynchburg and expand its current facility. 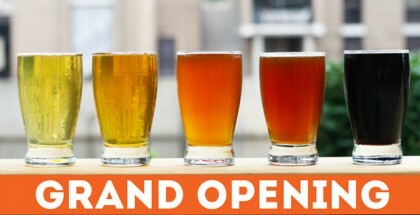 Loudoun County, to the west of Washington, has made a focused effort to encourage beer tourism to its more than 20 breweries with the LoCo Ale Trail, which highlights the large-and-small facilities in the county. This success is because of local gems, including Crooked Run Brewing, the nanobrewery started via a Kickstarter campaign. It recently opened a second location and is jumping into distribution. 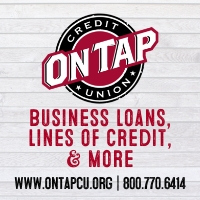 It’s the local connection that Loudoun County executives and politicians know is key to continued success. 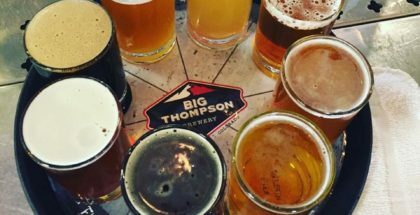 “What positions Loudoun as the ultimate brewery enthusiast destination is not only the branded LoCo Ale Trail, but the true craft product that starts with locally farmed hops, passionate native brew masters and a variety of more than 200 unique brews on tap at any given time across 24 breweries,” Visit Loudoun’s vice president of marketing, Jackie Saunders, told PorchDrinking. 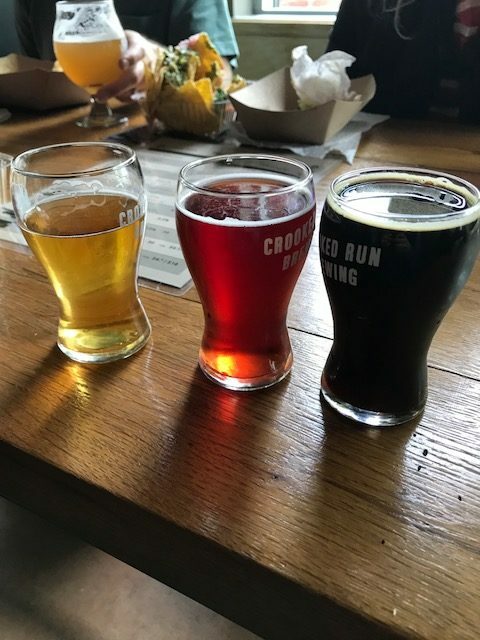 A flight (and tacos) from Crooked Run in Sterling, Va. Photo courtesy of Stacey Goers. 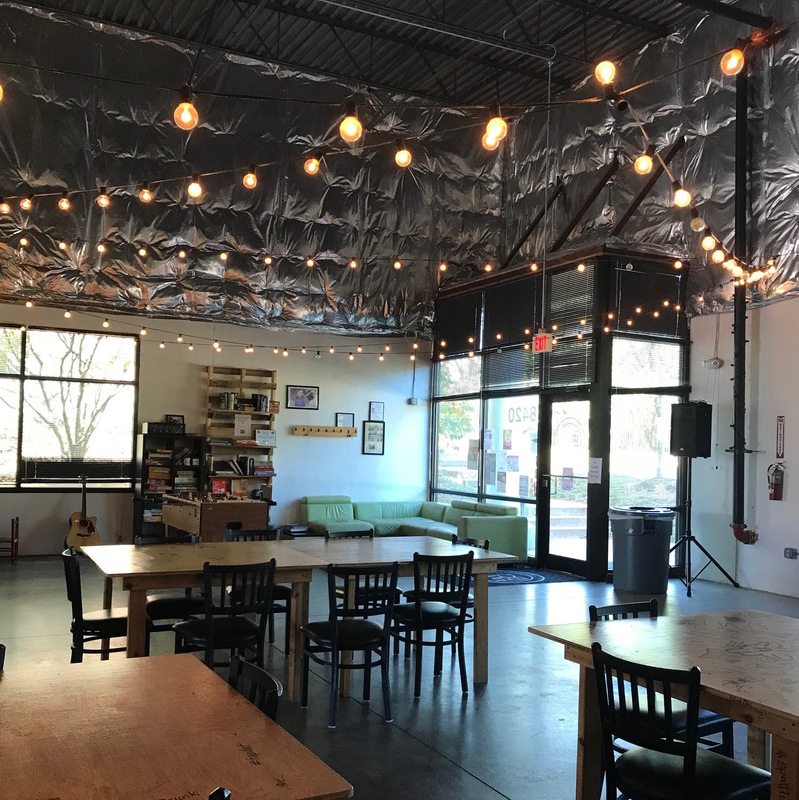 Jeremy and Sarah Meyers, co-owners of BadWolf Brewing in Prince William County’s Manassas know this hyperlocal focus well. They recently teamed up with others in the city to open a brewpub and moved their smaller location to focus on sour experimentation, while letting their larger focus on canning, events and other larger-scale needs. Distribution is “much, much harder” that other growth avenues, Jeremy told PD, because of the dance to find the right distributor. BadWolf dives deep into the local model by hosting community forums, trivia nights and being a familiar tap handle at nearby bars. Looking to their FunkHouse (to complement the BrewHouse and the PublicHouse, the main brewery and restaurant respectively), Jeremy said sours are still a growing market in the area. He’s thrilled with his increase in capacity and cannot wait for the more aggressive experimentation his team will do this spring. BadWolf’s brewhouse. Photo courtesy of Stacey Goers. “We’re really looking forward to this spring when we start blending Brett and barrel-aged; hopefully releasing new bottles once every six weeks or so,” he said. Starr Hill Brewing, one of the powerhouses in the state, opened its Roanoke pilot brewery and performance space this September. It has 23 rotating taps and brings music full circle back to the company: Starr Hill was founded in a music hall in 1999. Wow, @erinandthewildfire killin' it tonight! Thanks for coming out to support our #SideStage Showcase in the #StarrCity Roanoke! Food trucks round out the local love at the new venue. Additionally, Starr Hill launched a fundraising effort to support Virginia-based nonprofits via beer sales. This trend should further more beer tourism to Virginia and hopefully increase high-quality experimentation (Adroit Theory in Purcellville is a perfect example). To note, the 2018 Beer Bloggers and Writers Conference will be in Loudoun next August. There’s certainly much optimism in beer here now. Instead of filling grocery shelves across the coast, this growth should continue to mean depth of beer portfolios and fun facilities in which to enjoy the true craft.